Qatar is a small, very wealthy country with ambitions to move away from its dependency on oil and gas reserves to a more knowledge-based, technologically driven society. His Highness The Emir Sheikh Hamad bin Khalifa Al-Thani established the Qatar Foundation in the mid-1990s to support the development of a science-based economy. A National Vision 2030 was published in 2008 and, in 2009, Qatar set up a Supreme Council of Health to transform the country’s public health system. Hamad Medical Corporation (HMC), the country’s premier government-funded hospital system, currently provides 90% of all health care in Qatar. The Academic Health System Partnership, launched in 2011, is helping to align the missions of HMC, the public primary care providers and various academic institutions, enabling the development of interprofessional collaborative care and a robust research infrastructure. Qatar’s vision is to provide the best possible care to its population, adopt a leadership role in the Gulf Region, keep pace with new knowledge produced elsewhere and drive innovation through research. HMC manages eight hospitals and operates both the national ambulance service and a home healthcare service. It has recruited very strong clinical and administrative leadership from around the world. HMC is the first health system in the region to have its entire portfolio of hospitals and services accredited and reaccredited, in 2009 and 2012 respectively, by the Joint Commission International (JCI). It will open three new hospitals in the coming years, including a brand new tertiary care hospital in Qatar’s capital, Doha, that is meant to be the most modern hospital in the world. A centerpiece of the new hospital site will be a state-of-the-art Translational Research Institute, due to open in late 2015. HMC provides tertiary care, outpatient care, and has the largest emergency department outside of China, handling 600,000 visits per year, or between 1200 and 2000 people per day. HMC’s Heart Hospital, a 114-bed cardiac and cardiothoracic facility, is one of the best equipped in the world and recently received accreditation from the Accreditation Council for Graduate Medical Education — International (ACGME-I). Patient satisfaction across HMC’s system is high, with 90% of the population expressing satisfaction with access to quality health care. HMC works with both domestic and foreign academic partners, including its Academic Health System partners — Weill Cornell Medical College in Qatar, University of Calgary-Qatar, Qatar University, College of the North Atlantic-Qatar, Primary Health Care Corporation and Sidra Medical and Research Center — as well as a host of internationally-renowned health, education and research institutions. Qatar is very serious about playing on the world stage in health research and is actively recruiting experts from around the world. When I applied for the position at HMC, I was looking for an opportunity to do something distinctive that would have an impact globally. What convinced me was a videoconference with the Managing Director at HMC, Dr. Hanan Al-Kuwari, an enormously capable leader with a clear vision that I felt I could help advance. She and I have worked in partnership to the benefit of the organization. Health-care organizations have much to learn from business about moving from vision to reality, using strategy and business plans to enable implementation. Business expertise is needed in the healthcare sector to speed up that process. Qatar has seen a 230% increase in the number of patients sent overseas for treatment since 2004. A particularly high number of emergency patients go overseas, primarily to Germany, the U.S. and the U.K. The population, and its expectations, are growing. Wealth brings lifestyles that are incompatible with healthy living, and Qatar faces large and growing burdens of diabetes and cardiovascular disease. Infectious diseases are also common, some coming in with the expatriates from Asia, including the Indian subcontinent. Qatar’s need for prevention is no different from that in other countries, but in a society where exercise is quite difficult because of the heat, where seat belt wearing is not a habit, where children are not typically strapped into car seats, a major cultural shift is needed. The challenge is to create awareness of danger and prevent accidents as well as disease processes. Qatar faces health workforce shortages and cannot currently produce its own workforce, in line with demand. The country is very dependent on nurses coming in from other countries, particularly the Indian subcontinent and the Philippines. The medical staff is also predominantly from overseas, though an increasing number of Qatari nationals are training as physicians and taking an active role in Qatar’s healthcare system. Transforming ideas and plans into real programs is the most difficult challenge and there are significant differences between Qatar and the U.K. in this regard. When I was trying to create an academic medical centre in Leeds, I was dealing with an institution that had deep historical roots, silos that had to be broken down, and vested interests that had to be satisfied. Progress could not be made until I had a governance system in place that actually broke those down and engaged the rising generation of leaders. In Qatar, there are none of those barriers, and the vision is set from the highest level by His Highness the Emir, and supported strongly by government, who work closely with us and support the initiative financially. It is very difficult for individuals in our system to argue against the project because the vision has been set: we in Qatar will have an academic health system. In the U.K., the debate was: should we have academic medical centres and health systems? Partnerships are essential to Qatar’s plan. Qatar does not have the capacity or the capability to achieve a world-class academic health system on its own. This could arguably be the case for any health system — globalization and changing global health needs are making it impracticable for health systems to remain siloed within their own borders. We are looking towards partnerships as a means to help us create capacity and implement innovative ideas. The Qatari system provides partners with an opportunity to develop and test innovations within a system where it is relatively easy to monitor success; it is a small national system, unlike systems in the U.K. that are more diffuse and involve a greater number of organizations. 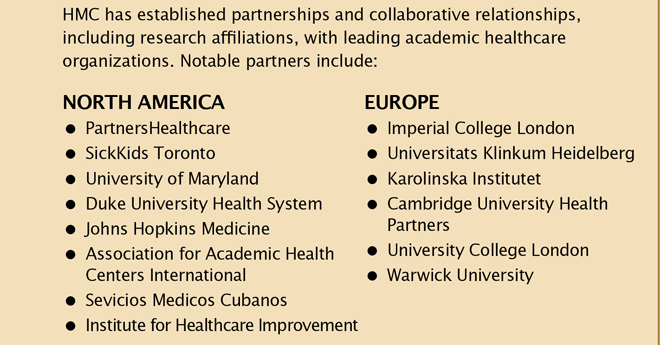 HMC has established partnerships and collaborative relationships, including research affiliations, with leading academic healthcare organizations. We are creating institutes focused around four main disease areas as well as immune and inflammatory disease. These institutes will form the basis of the hospital system and will be embedded within that structure. They are expected to streamline care delivery and serve as hubs of clinical, education and research activity. International advisory boards and directors for each of the institutes are currently being appointed. The ambition is to develop and implement bold new ideas in all areas, transform all aspects of clinical practice, and meet these challenges for the Qatari population while also producing knowledge and models that can help other countries facing similar challenges. The workforce for Qatar’s academic health system is being developed through a combination of external recruitment, mainly in the leadership area, and training and mentoring programs for current staff to bring them rapidly up to speed. They will be expected to contribute to the academic mission in all their work. Care is focused on the patient but every patient consultation must be viewed as an opportunity to question and improve current methods, patient pathways, diagnostics, treatment and education. Establishing performance indicators is a significant challenge and we have been working with the Association of Academic Health Centers in Washington to look at indicators that we might use as benchmarks. The disconnect between education, science and patient care is no longer tenable, nor tolerated by political leaders and society. Residency programs are very beneficial in building health human resources capacity. We send a lot of our graduates overseas for residency training and benefit enormously from that; however, we are lucky that most Qatari residents who go abroad for residency training generally return home (for cultural, social and economic reasons). 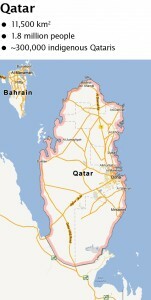 Most of the residents in our own hospitals are non-Qatari, coming from other Middle Eastern countries. Some go on to become consultants in our system and some go back to their own country or move to other countries. Undergraduate medical education in Qatar has had mixed success; Weill Cornell Medical College in Qatar has graduated primarily non-Qatari students, as Qatari nationals have the option to train anywhere they want, and most still choose to train at top institutions internationally. Within the post-secondary education domain, many leading universities, including those in Qatar, have had disappointing experiences with establishing undergraduate education and now prefer to put their efforts into post-graduate activity and creating sustainable post-graduate programs and research programs in other countries. We are very receptive to developing joint PhD programs with leading universities, through which we can create sustainable research programs that have joint leadership from both institutions. Each week, major international publications — Nature, Science, New England Journal of Medicine, to name a few — publish scientific articles with a great number of authors from different centres around the globe. Competition is giving way to collaboration as the way to move research forward quickly, and these collaborations are global in scope. Partnerships must be mutually beneficial. Simply put, if they are not mutually beneficial, they are not partnerships. Other mechanisms, such as consultancy programs, are available to develop capacity in some areas. In the partnerships into which HMC has entered, we provide both human and financial resources and our partners often provide predominantly human resources and expertise. All resources involved, however, must be sufficient and appropriate. Leadership is critical but the partnership must be able to survive a change in leadership. This requires that, along with engagement between people at the top levels, others further down the governance structure must also be involved in driving the partnership forward. The governance structure must enable and promote this type of multi-level engagement. Clear and enforceable lines of accountability, communication and measures of success are critical. Partnership with Qatar’s health system provides foreign institutions with access to unique research opportunities. A particularly interesting opportunity is around Biobank Qatar, a longitudinal, population-based study that seeks to better understand the genetic footprint of Qatar’s local population. We have partnered with Imperial College London to develop the Biobank’s foundation, and the study has already started recruiting patients. The Qatar Biobank’s protocol will include sampling of both healthy and disease-specific tissue, genotyping and MRI imaging to provide unique information on how disease progresses in a given population. An entire floor in our forthcoming Translational Research Institute will be devoted to the Qatar Biobank’s research. The Qatari population is of special interest as it is derived from three kindreds: one from the Arabian Gulf, the second from Eastern Iran and the third from Bantu-speaking Africans. The high rate of consanguinity creates a relatively pure genetic population with a number of interesting genetic variations that enable researchers to look at genotypes and phenotypes and improve understanding of disease processes. It is noteworthy that the local problems to be addressed in Qatar are not dissimilar to those in Canada and other rapidly-growing nations. If we are to begin solving pressing global health challenges, and focus on educational needs, workforce issues and innovative research, countries and health systems need to work together and in partnership with institutions such as the Association of Academic Health Centers International. Globally, we must address the workforce issue and aim to create a sustainable workforce by blending international talent with the development of local expertise. There is a good deal of momentum in Qatar at the moment; this creates a window of opportunity for the leading institutions in Canada, which are extremely highly regarded around the world, including in the Middle East and Gulf Region. There is a chance to engage across a wide area of activity. We need to ensure that work with regional and international partners helps to build upon local expertise and provides an opportunity for local capacity development. Academic health centres from across Europe, North America and Asia were built upon the best international talent from around the world. Today, we need to create mechanisms to develop together, sharing expertise with others but also bringing new expertise back, and we need innovative ways to do that. We have recently initiated joint appointments with leading health systems, such as Duke Medicine, and secondments that enable academicians to come to Doha for three to five years, gain experience working with us and then return to their home institution. This model allows us to develop our local clinical and research programs, while establishing a bridge between organizations, so that collaborative programs and projects can continue to thrive when team members return to their host institutions. Since his appointment in 2011, Dr. Hillhouse has galvanized the Hamad Medical Corporation with the vision of a national academic health system for Qatar. Dr. Hillhouse was previously Professor of Medicine at the University of Leeds where he served as Dean of the School of Medicine, Faculty Dean of Medicine and Health and Dean for International Development. 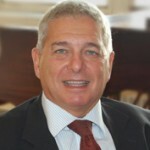 He has also served as Non-Executive Director on the board of Leeds Teaching Hospitals NHS Trust, one of the largest hospitals in the U.K., with 3,000 beds. He is a consultant endocrinologist with special expertise in metabolic bone disease and pituitary disorders. An internationally recognized clinical scientist, his most influential work has been in defining the molecular mechanisms underlying the role of stress in health and disease. He has extensive experience in translational clinical research and clinical trials. He is a founding member and Consulting Director of the International Association of Academic Health Centers (AAHC International).